Richard Jackson, Rennie 101, 2009‐2010. 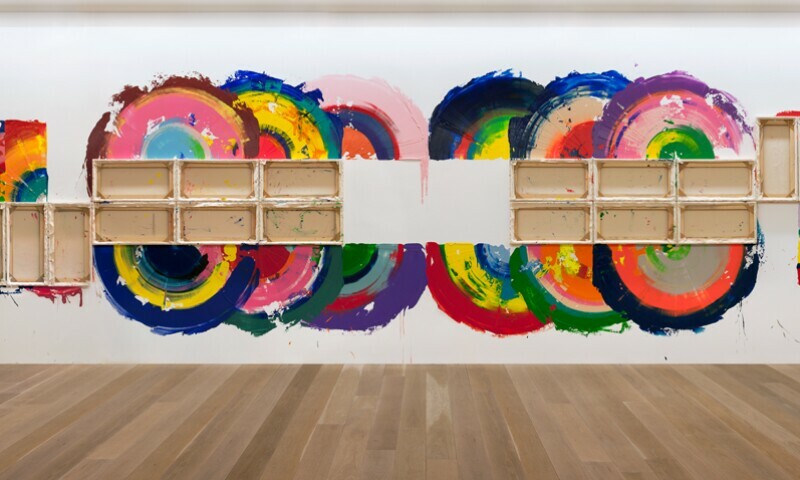 The Musée de l’Orangerie will be inaugurating its new contemporary art room with an installation by the American artist Richard Jackson - Paintings. In the early 1960s, at a time when Abstract Expressionism was established as the major American art movement, Richard Jackson decided to experiment with different ways of extending the field of painting, and to push it beyond its boundaries, styles and conventions. From 1969, Jackson produced wall paintings where canvases loaded with paint were substituted for brushes. In this way, he initiated an inventive series of inversions and dissimulations with the aim of upending technical and stylistic conventions of painting. Canvas, paint, space and time were redistributed, often simultaneously, in a single work. Fascinated by the Orangerie’s Water Lilies, Richard Jackson presents a work in the same spirit where colour, gestuality and the organic offer a joyous and offbeat interpretation of Monet’s last work. He states: "I don’t feel my work as a criticism of painting but an optimistic view of what it could be." (Richard Jackson).